The name “Aventura” is practically synonymous with a life of luxury. Featuring stunning real estate, beautiful beaches and the famed Aventura Mall, Aventura is one of the most alluring and desirable places to live in all of Miami-Dade County. When it comes to kitchen remodels in Aventura, Artistic Refinishing has provided quality Aventura kitchen countertop refinishing services for more than 30 years. Your kitchen is the place where you experience precious memories, such as engagements, anniversaries, and birthdays. Your family prepares food there and shares cherished family dinners together at the kitchen table. 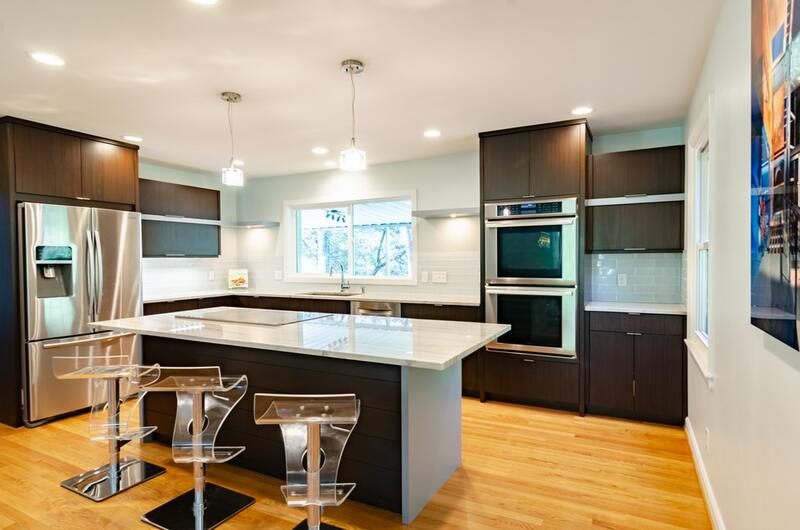 Your kitchen is the heart of your home, so it should be attractive and functional, but you should also be aware that it affects your home’s value too, which is why you should consider investing in its appearance, starting with your kitchen countertops. Aventura kitchen countertops contribute to the overall appearance of the kitchen but should also be functional and easy to access and use. Aventura kitchen countertop refinishing is an affordable way to bring a new look to your kitchen. Countertops wear with use and become challenging to keep clean. When you choose Aventura kitchen countertop refinishing, you can take care of it all in one go. Artistic Refinishing can ensure your kitchen has a more modern look with Aventura kitchen countertop refinishing needs. Aventura kitchen countertop refinishing leaves a smooth, long-lasting finish that looks as good as new. Our Aventura kitchen countertop refinishing leaves a non-porous surface that cleans easily and keeps your household healthier because you can wipe off bacteria much more easily. Artistic Refinishing uses a durable coating system that provides high-quality results time and time again. We diligently work to save our customers countless dollars on kitchen remodels. Our kitchen countertop refinishing in Aventura costs less than half of what you would pay for new countertops. Our approach can help you transform your kitchen in a few hours while giving you very limited inconvenience. Aventura kitchen countertop refinishing is small compared to the cost of a full kitchen remodel. 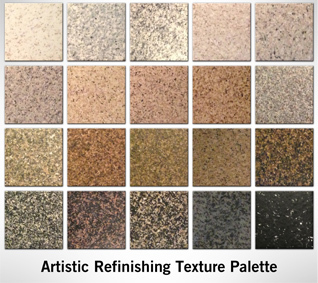 At Artistic Refinishing, our team has handled Aventura kitchen countertop refinishing for more than 30 years. We are licensed and insured, and you can always count on the job being done to specification. Offering multiple color options, you can make sure your Aventura kitchen countertops meet your expectations. If you feel it is time for a more modern look in your Aventura kitchen, call the experienced Aventura kitchen countertop refinishing team at 800-995-5595 today to get a free quote.